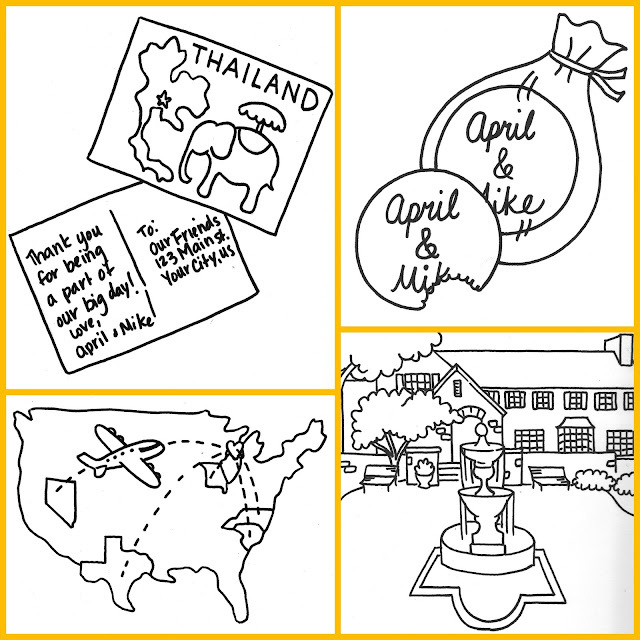 Its been a while since I've made a custom coloring book wedding favor. I was delighted to be contacted by a bride last week with a last minute request for her wedding this coming Saturday. She supplied me with so many fun details (Disney proposal, top secret groom's cake, a beautiful venue…) that it was hard to decide what to include in the book. I just sent her the PDF and I hope she loves it. I love designing these books. Its so much fun to work with people as they plan for one of the happiest days of their lives. If you are interested in commissioning a book, hop on over to my Etsy shop for more details. I've also done books for children's birthdays and other special events.